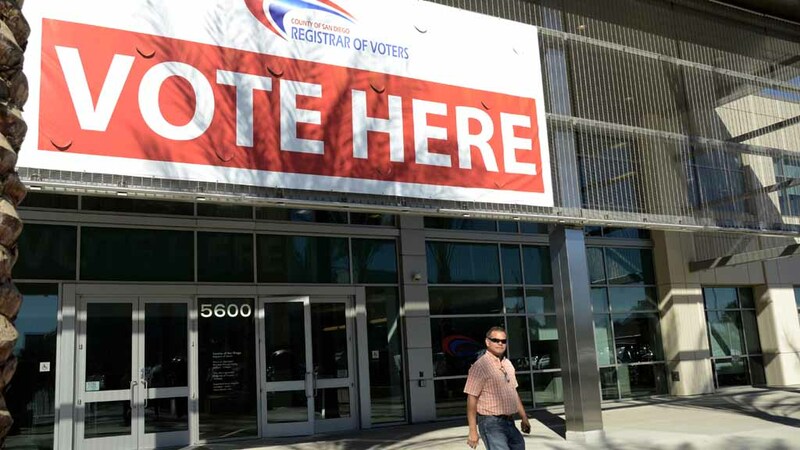 Voters who are not registered with a party can cast a ballot for Hillary Clinton or Bernie Sanders in California’s upcoming Presidential primary, but you must register as a Republican by May 23 to vote for Donald Trump. The Democratic Party and two minor parties — American Independent and Libertarian — allow unaffiliated voters in their primaries, but only registered Republicans can vote in that party’s primary. You can check your party registration with the San Diego County Registrar of Voters’ online lookup. If you want to change you party affiliation, you have to re-register by May 23. “The June 7, 2016, Presidential primary is fast approaching, but voters registered with no party preference still have time to request a partisan ballot with Presidential candidates,” California Secretary of State Alex Padilla said. Padilla has predicted a record turnout in the primary because of the close Presidential races. Though Clinton and Trump are the front-runners, they both must win a significant share of their parties’ votes in the California primary.